$4.00 Style Mash Up Shorts, Tanks & More Sale, Ends Today! You are here: Home / Great Deals / $4.00 Style Mash Up Shorts, Tanks & More Sale, Ends Today! 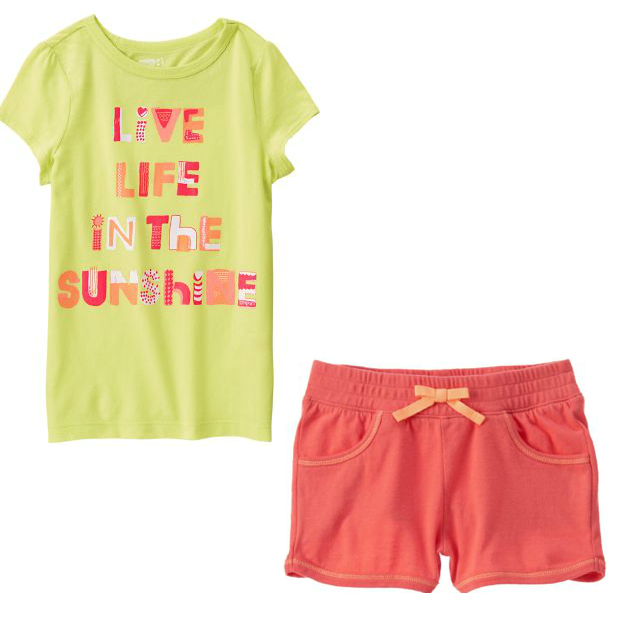 Looking for some more outfits for the kids to get you through the summer? Visit Crazy 8 for the $4.00 Style Mash Up Shorts, Tanks & More Sale! Everything in this sale is just $4.00 per item, like these cotton jersey pull on Gym Shorts with front pockets and this screen printed cotton jersey Live Life In The Sunshine Tee! There are heaps of other items to choose for girls, boy and toddlers! Sale ends Today!